An increasingly popular product with many homeowners, bi-fold doors can blur the boundaries between the garden and your home and allow you to completely open up your property to your garden. 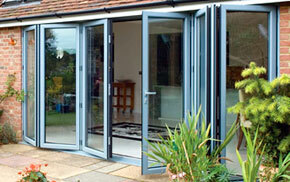 The revolutionary opening options that bifold doors present the homeowner really are exciting. In many cases the installation of a bifold can involve the widening of an existing aperture using lintels to really open up the back of the house. 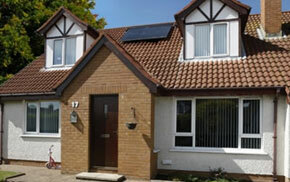 This involves major building works and is subject to building regulation approval, but can transform a home completely. Bifolding doors, otherwise known as sliding folding doors, or multifold doors have become a popular choice of garden door within the home improvement sector due to their high aesthetic qualities, versatility, and ability to “open up” the back of a house allowing light, views and opening area to be increased. A great alternative to inline patio doors, or French doors with side-screens, where an opening is restricted a bifold door enables you to merge both home and garden, creating a larger living space at a relatively low cost. Our bifold doors can even be integrated into your existing conservatory or orangery design. Bifold doors are a set of panes in a frame which open in a variety of combinations, ultimately allowing the whole space filled by them to be opened. What are Slide and Swing doors? 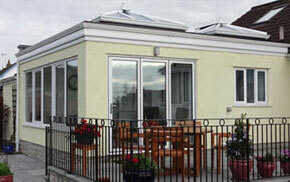 Why choose bifolding or swing and slide doors from Mendip? Our aluminium bifolding doors are more durable and provide slimmer sightlines than PVCu bifolds. They feature a thermal break that increases energy efficiency and allow the creation of larger passages as well as an electrostatic powder coating that can be coloured to match any colour you choose or imitate different woods. We offer a range of brands including Warmcore, Smart Systems and ALUK. As we are not affiliated to any brand we are able to offer the best product for your application. 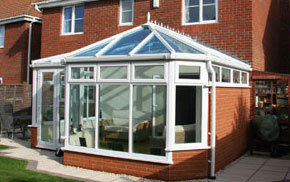 Our PVCu bifolds are not only great value but also aesthetically pleasing. Easy to maintain and very durable, our PVCu bifold doors are available in a full range of styles, colours and sizes, including fixed and opening light combinations and alternative outer frame sizes. 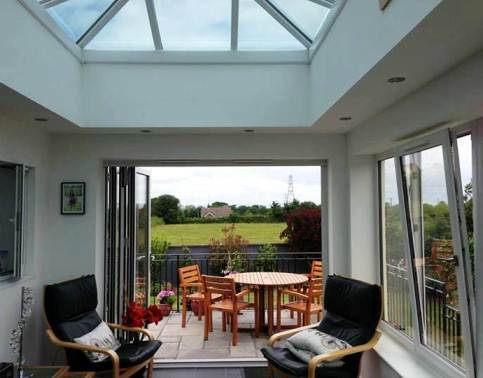 Mendip Conservatories install PVCu and aluminium bi-fold doors across North Somerset and the South West, including Bristol, Clevedon, Portishead, Nailsea, Backwell, Congresbury, Weston-super-Mare and beyond. Send us a message or phone us today on 01934 877 666 for more information about installing bi-folds in your home.